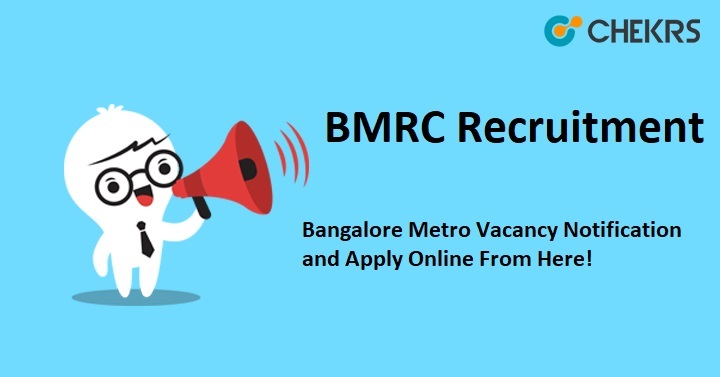 BMRC Recruitment 2018: The Bangalore Metro Rail Corporation Limited (BMRCL), Bangalore has given an employment notification for the recruitment of 139 Assistant Security Officer (ASO), Asst Executive Engineer and Asst Engineer. The BMRCL is inviting interested and eligible candidates for the BMRCL Recruitment 2018. Candidates need to Apply Online for the Bangalore Graduate Engineer Vacancy Application Form on or before the last date which is 31st August and 19th September 2018. Candidates must read BMRC Assistant Security Officer Recruitment Notification before applying the application form. Now we are providing the latest information about the Graduate Engineer Vacancy, details of vacancy, how to apply, eligibility criteria, age limit, and other details in this article. Eligible candidates may fill in the application online, take a printout of the same and forward along with relevant documents in support of qualification and experience. In this article, we are providing the BMRCL Recruitment Application Form and BMRCL Vacancy Notification link. Candidates click on this link and get all details. Candidates need to visit the official website of BMRC i.e. www.bmrc.co.in. Fill all the required details in the prescribed format. After filling the application form, candidates can take the print out. Remarks: If you have any query about BMRC Recruitment 2018 that you can write comments on commenting box and take a review or feedback.